AT&T just announced that it will offer the HTC One X+ and the HTC One VX beginning on Nov. 16. Customers interested in the One X+ can pre-order the device beginning tomorrow, Nov. 13. The One X+ will launch with Android 4.1 Jelly Bean and will pack a quad-core 1.7GHz NVIDIA Tegra 3 processor (the original has a dual-core Snapdragon S4 chip) as well as 64GB of storage, a larger 2,100mAh battery, a carbon black finish, a 4.7-inch 720p HD display and HTC's Sense 4+ user interface. It will cost $199.99 with a new two-year contract. The One VX, by contrast, will cost $49.99 with a new two-year contract and runs Android 4.0 Ice Cream Sandwich with Sense 4.0 out of the box. However, HTC says it will be upgraded to Android 4.1 Jelly Bean with Sense 4+ and improved camera capabilities down the road. It offers 32GB of storage, a microSD card slot for additional storage, a 4.5-inch display with a qHD resolution, a 5-megapixel camera capable of recording HD video and more. The full details on both phones can be found in the release below. Customers looking for a smartphone that combines outstanding design, authentic sound, an amazing camera, HD entertainment, and the power of a quad-core processor will surely add the HTC One™ X+ to the top of their wish list. Available in AT&T* stores and online beginning Nov. 16 for $199.99 with a two-year agreement, customers can also pre-order the HTC One X+ beginning Nov. 13 atwww.att.com/onexplus. A look at the HTC One X+ in action is available in this video. Additionally, AT&T announced the HTC One™ VX, an affordable Android smartphone that offers a premium mobile experience, will be available in-store Nov. 16 for $49.99 with a two-year agreement. Running on AT&T's 4G LTE network, the HTC One VX delivers an amazing camera and authentic sound experience in a more compact size for even greater mass-market appeal. The HTC One X+ will be the first smartphone to combine Android 4.1 (Jelly Bean) with the 1.7 GHz NVIDIA® Tegra® 3 '4-PLUS-1™' quad-core processor with a battery saving fifth core. 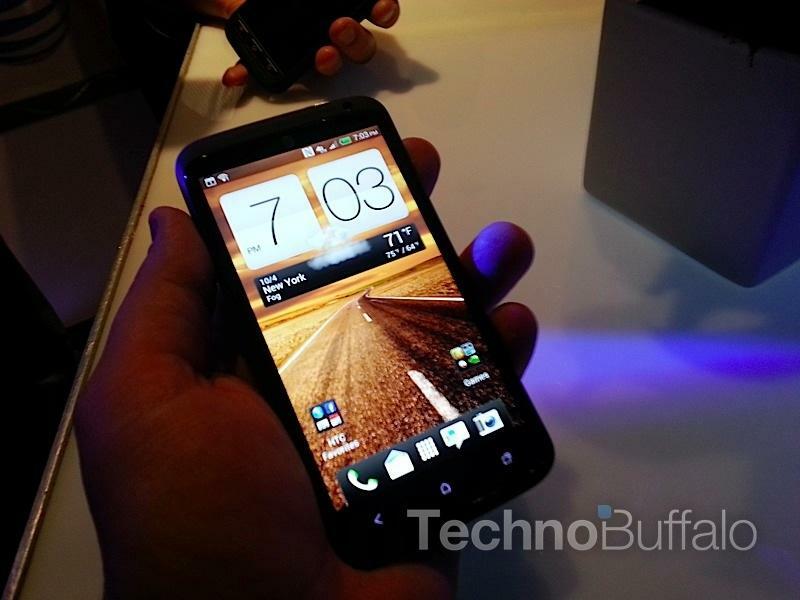 The HTC One X+ will also be the first smartphone in the U.S. to feature performance improvements and benefits of HTC Sense 4+. Continuing with the iconic HTC One X design, this powerhouse now comes in an exclusive Carbon Black finish and adds increased performance, longer battery life and 64 GB of internal storage. The HTC One series set the standard for imaging with HTC VideoPic™ (the ability to take still photos and shoot videos at the same time), one-press Continuous Shooting and better quality images in low light environments. The HTC One X+ combines the outstanding camera capabilities of its predecessor** with a series of intelligent features powered by HTC Sense 4+. The new Auto Portrait mode on the front camera helps you capture high quality photos by detecting the human face at various angles. Sightseeing mode makes it easier to capture the moment, as only one touch of the power button bypasses the lock screen and launches directly into camera mode. Additionally, two new ways to view photos and videos in the gallery allow you to display albums according to when or where they were taken. Featuring advanced imaging capabilities, the HTC One VX includes a 1080p HD video recorder and 5-megapixel camera with HTC ImageSense™, improving every part of the camera and integrating HTC ImageChip. Within seconds, customers can launch the camera from the lock screen and enjoy one-press continuous shooting at four frames per second. The One VX also features HTC VideoPic. The HTC One VX is NFC-ready for the seamless, wireless sharing of playlists, Web sites, contacts and more with other NFC-enabled devices. **** 4G speeds not available everywhere. Limited 4G LTE availability in select markets. LTE is a trademark of ETSI. Learn more at att.com/network.